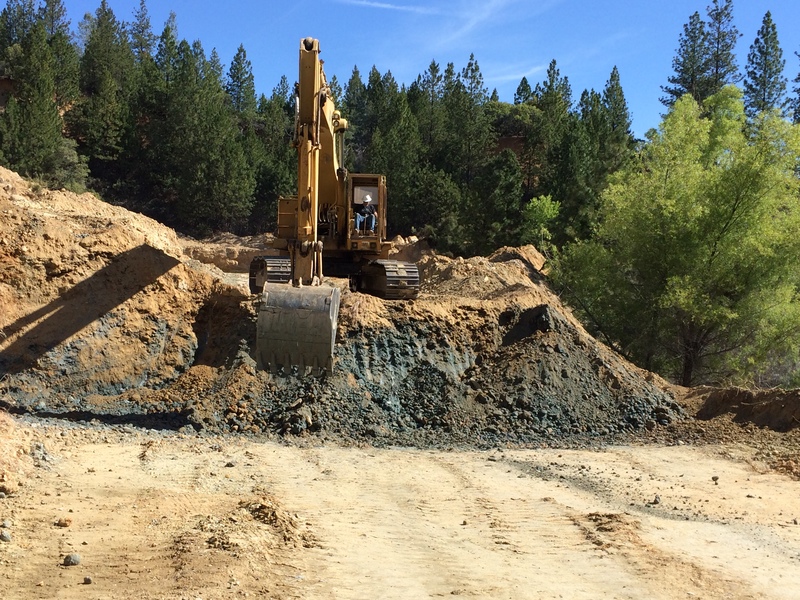 The French Corral Mine Project and its contained placer gold deposits are located within the northern Sierra Nevada region in the vicinity of the community of French Corral, Nevada County, California. The project is approximately 50 miles northeast of Sacramento. The project area is patented private land located in Sections 24 and 25, Township 17 North, Range 7 East, MDB&M, Nevada County, California. The French Corral Project is situated in the northerly unmined portions of the project area, but within Sections 24 and 25, T17N, R7E. The subject property is over 400 acres in size and is reported to contain ½ linear mile of the unmined Ancestral Yuba Channel auriferous gravels. Access to the project site is via the Pleasant Valley County Road from Highway 49. We are offering 20% net equity joint venture limited partnership position for $2 million working capital investment. 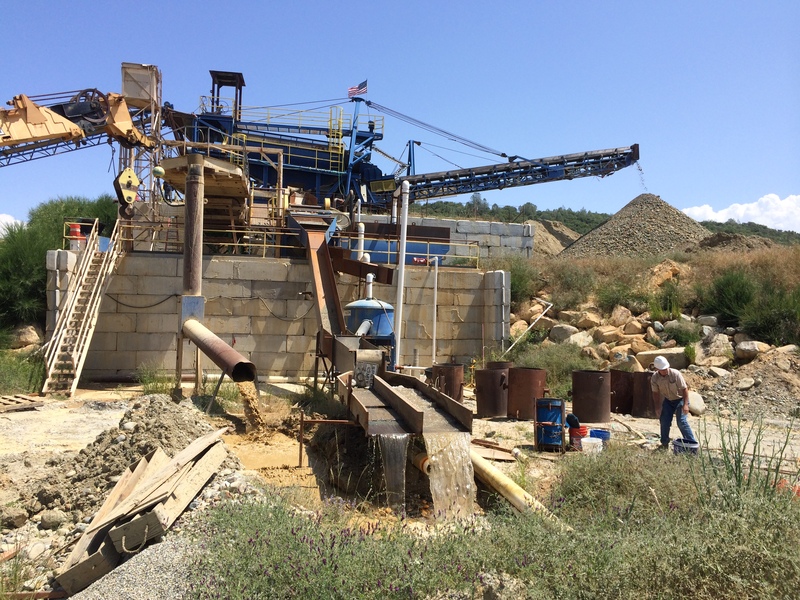 The French Corral Mine is located just 20 minutes outside of Grass Valley/Nevada City California, in Nevada County, historically the highest gold producing county in California. The 400 acre patented property was partially hydraulically mined through the late 1800’s until this mining method was banned. Production to that point was estimated at 200,000 ounces (California Division of Mines Bulletin 193). The mine was never finished and worked only sporadically since. A major channel of the Tertiary Yuba River runs the length of the property with the northern half mile (Phase 2 @ 35 acres) being unworked virgin gravels. The channel averages 600 feet wide and up to 150 feet deep. Historically all mines in this area of the channel average .012 ounces per ton of recoverable gold (.008 oz per cu/yd) with the lower levels near bedrock being very rich. Large lake on property provides plenty of water. 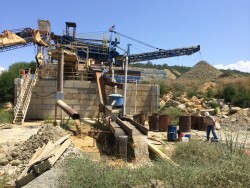 We satisfied all current California permit requirements and installed a $1.5 million pilot plant. 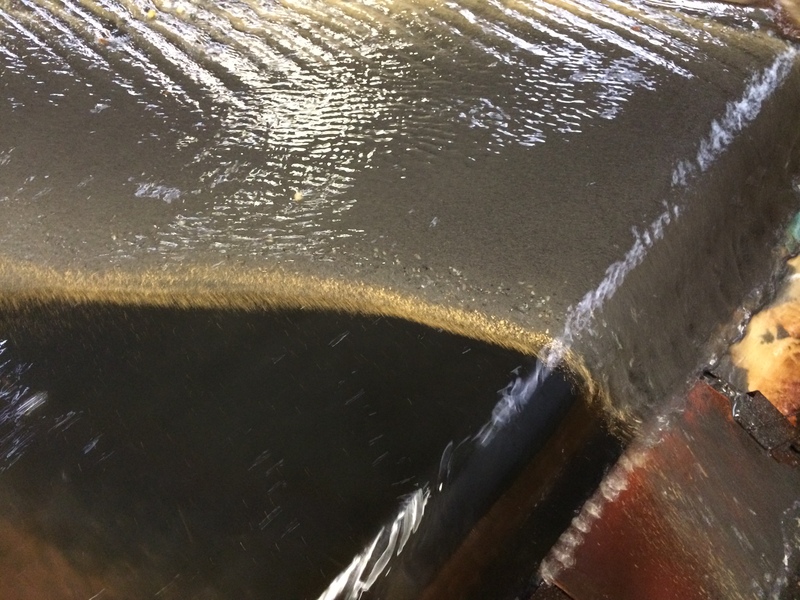 We then began limited Phase 1 production in late 2014 where the hydraulic miners left off. 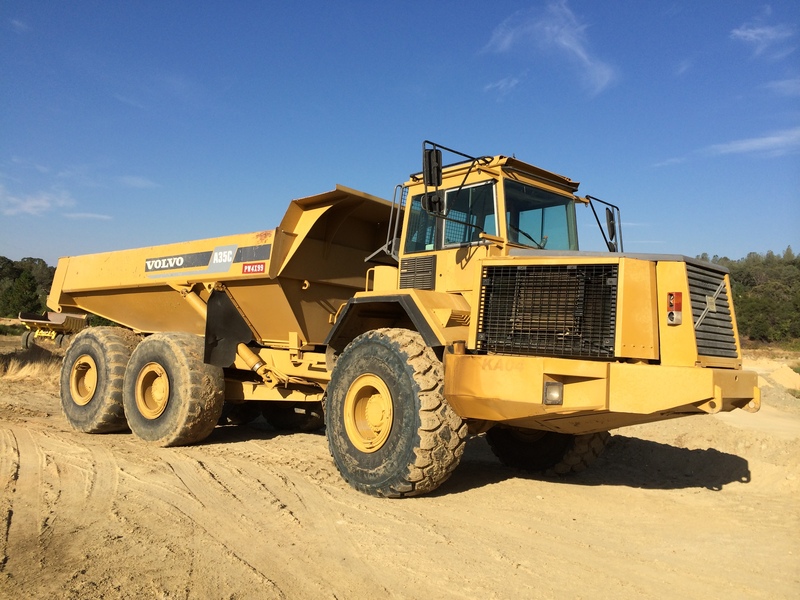 By September of 2015 we had produced over 250 ounces from upper gravels with intermittent plant running time and only one haul truck and excavator. Our recovery proved the same as historical averages in the district. We estimate the Phase 2 reserves to be in excess of 30,000 ounces, and if the remaining gravels in Phase 1 and other unworked areas of the property are added, the total reserves are estimated at over 65,000 ounces. 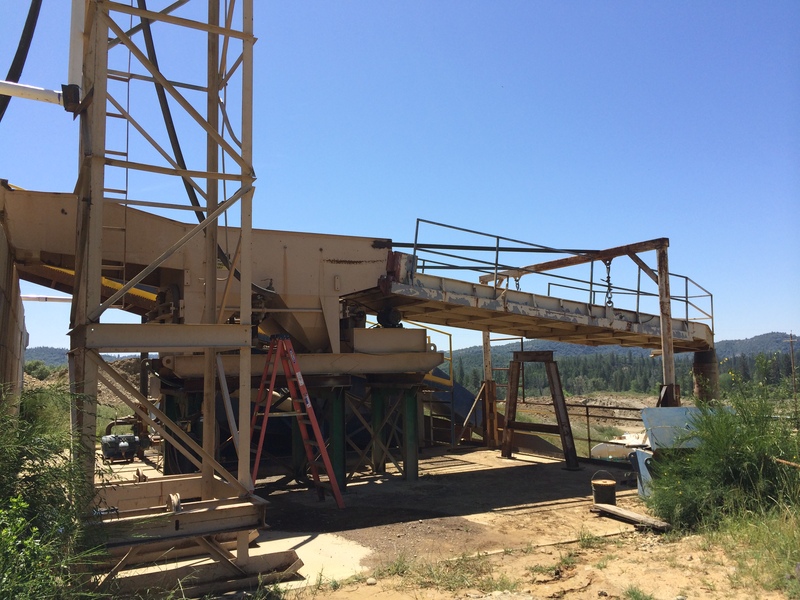 Proceeds from this capital raise will be used to purchase reliable rolling stock, add a second recovery jig to the plant, add a tailings sand screw and amend the reclamation plan to satisfy permit requirements for the Phase 2 area. Outright sale of mine would be considered for $8.5 million which would include the plant, equipment, and the 400 acre patented land, perfect for subdivided ranches after reclamation. The French Corral Mine project is located in a complex zone of Paleozoic and Mesozoic rocks, within the western slope region of the Sierra Nevada Range. Bedrock consists of plutonic rocks that range in composition from diorite to granodiorite as well as metamorphic rocks ranging from slates to amphibolite schist. (MacBoyle 1919)(Wagner 1982)(Saucedo 1992). A series of gold-bearing paleochannels developed during the early Tertiary period and have been designated as the Ancestral Yuba River system, encompassing portions of Lassen, Plumas, Sierra, Nevada, Placer, and El Dorado Counties within the Sierra Nevada region (Yeend 1974)(Lawler 1995). The Tertiary age, extrusive volcanic mudflow deposits (designated as the Mehrten Formation) buried the Ancestral Yuba paleochannel system under several hundred feet of andesitic mudflow elsewhere along the western slope of the Sierra Nevada Mountains are not present at this mine site. The Ancestral Yuba River paleochannel sediments are divisible into three generalized stratigraphic units: an upper clay unit, a middle sandy unit, and a basal, unsorted cobble, sand and clay unit (Figure 5). 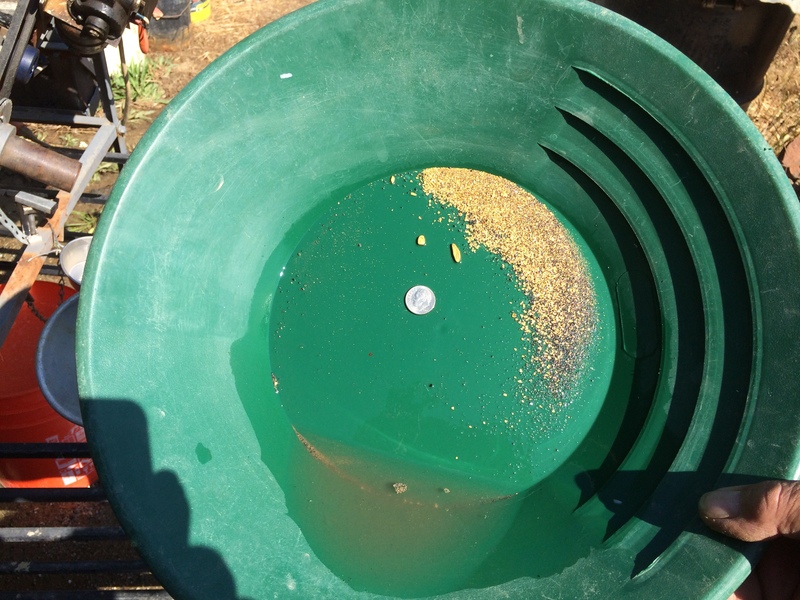 The basal unit often contains economic concentrations of placer gold (Lawler 1988). Often, a complex 3-dimensional stratigraphic relationship exists between these units, due to local downcutting and redepositional processes, which significantly influence the creation of placer gold deposits or “pay streaks” within the paleochannel. 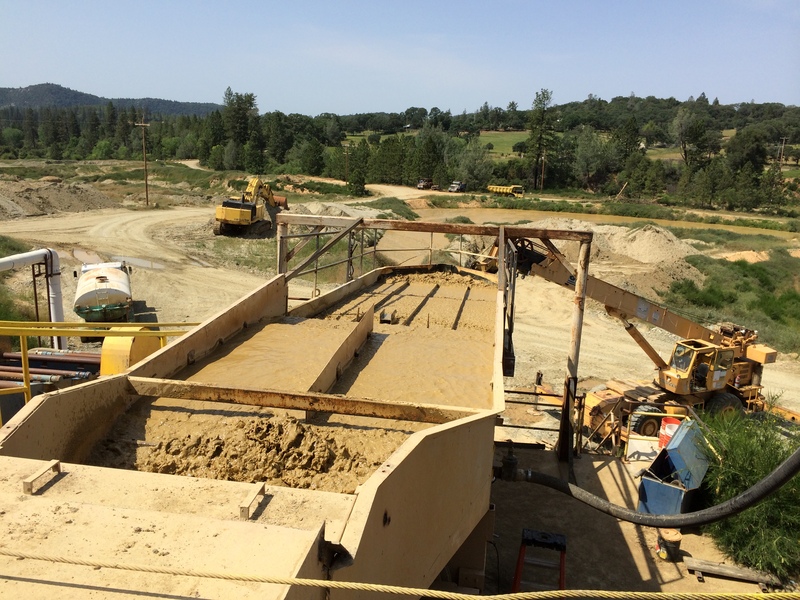 The French Corral Mine project is located on the main Ancestral Yuba Channel, downstream from the major southern and northern paleochannel tributaries. The best sites where the Ancestral Yuba sediments are exposed are located on the north and west hydraulic pit walls of the main pit. The depth of the channel in the unmined portion of the deposit is approximately 60-120 ft (Yost Report - no date). Large diameter granite boulders are exposed at the base of the hydraulic pit and provide a good indication as to the maximum boulder size that will be encountered during subsequent mining of the basal cobble-boulder unit. 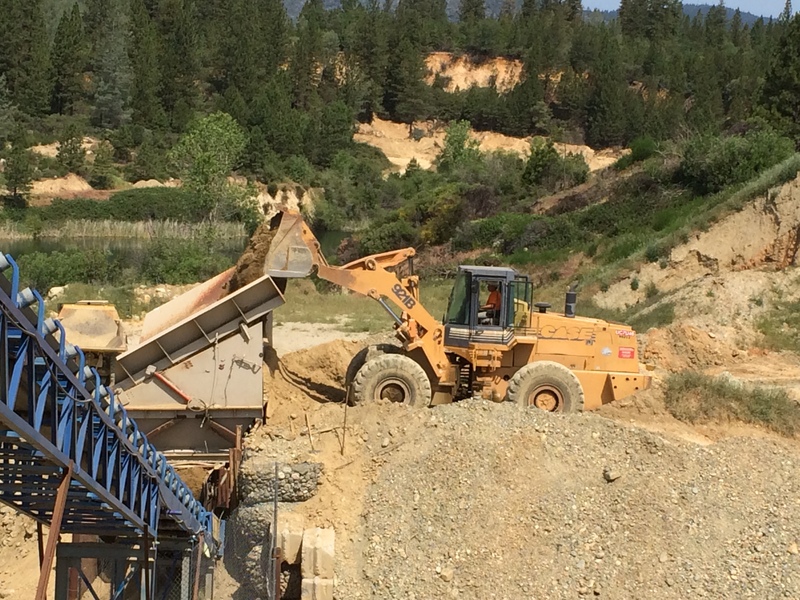 The French Corral Mine project is located on the main stem of the Tertiary age Ancestral Yuba River paleochannel. This gold-bearing paleochannel system has been well documented historically (Averill 1946, Clark 1970, Lindgren 1911, Garside 2005, Haley, 1923, Lawler, 1995, and Whitney 1880. 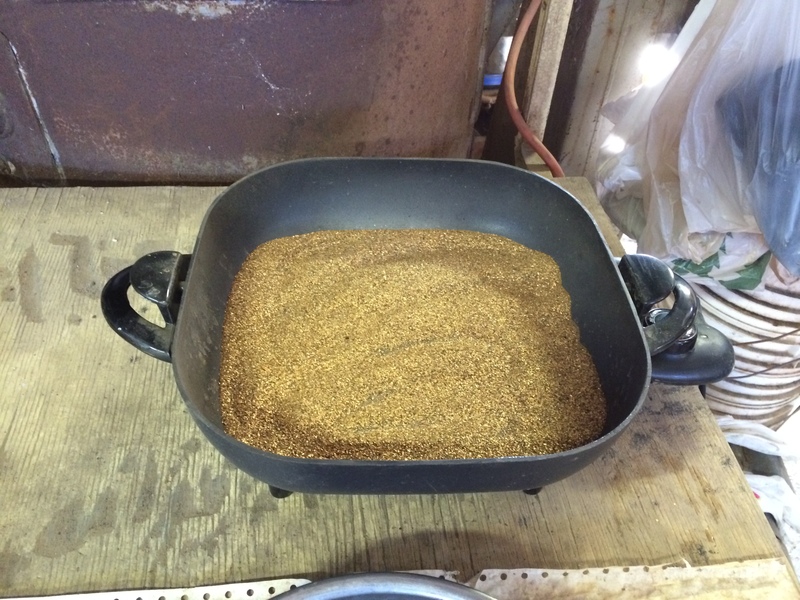 It has produced an estimated 12 million ounces of placer gold over the last +150 year period. San Juan Ridge contains the largest reserves of unmined auriferous Tertiary age paleoplacer deposits in California (Monroe 1929). The French Corral-Birchville portion of the paleochannel is believed to have produced in excess of 300,000 ounces of placer gold from an estimated 30 million cubic yards of Tertiary gravel. (Haley 1923). Monroe (1929) reports that hydraulic mining of 4.2 million cubic yards of channel gravels from top to bottom in the Birchville-French Corral District during the period 1865 to 1883 and yielded values of 41.5 cents (@$20/ oz Au). 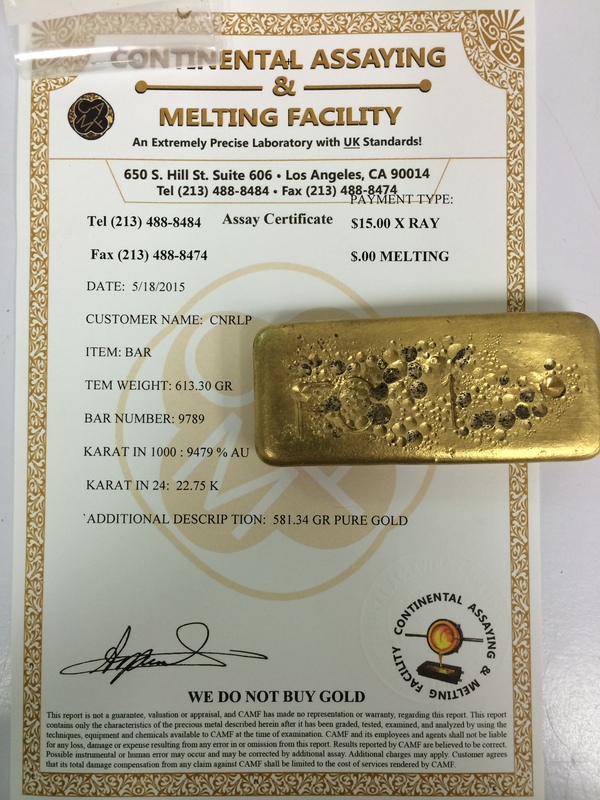 This equates to the recovery of 78,000 ounces with an average gold grade of .012 ounces/ton. Some drilling has been done on this property both historic and recent, with results confirming known gold recovery averages in district. Qualified investor/buyers can be provided with recent full geology report, feasibility study, and extraordinary amount of historical information. Largest diamond ever found in California (7 1/2 carats) was found on this French Corral property.